Bread Baker and Author. Julia Child rightly called her the Pied Piper of Bread Bakers. Loved dachshunds. 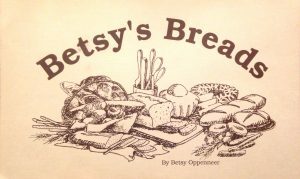 Betsy Oppenneer began her baking career at the age of 12 as an apprentice for a small bakery in her home town of Cleveland, GA. Later, as the wife of an Army officer, she traveled to many countries where her love of food turned into a serious study of various cooking and baking styles. These experiences eventually led Betsy to teach baking classes from her home and for womens’ groups. Since then, Betsy has become a central figure in the culinary industry as a teacher, author, and consultant. 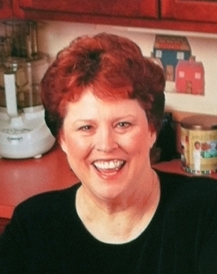 She is called the “bread baker’s pied piper” and “The Bread Whisperer.” In 2002, Betsy was nominated for the Award of Excellence as Cooking Teacher of the Year by the International Association of Culinary Professionals. She shares the pleasures of home baking with thousands of people at over 125 schools in 29 states. Betsy has studied at the Culinary Institute of America (Hyde Park, NY), Cornell University’s Intensive Gourmet Cooking Program (Ithaca, NY), the ATA School of Gourmet Cooking (Portafino, Italy), and the Yankee Kitchen Certificate Series (Bellevue, WA). She has studied with several culinary luminaries such as Julia Child, Nicholas Malgieri, Nancy Silverton, Dan Leader, Jacques Pepin, Madeleine Kamman, Roland Mesnier, Marlene Sorosky, Bernard Clayton, Nathalie Dupree, and Richard Whitmann (Culinary Olympics Champion). Betsy is an active member of the International Association of Culinary Professionals (IACP) and currently serves on the board of directors. She has been chair person for the Regional Meetings Committee, the Professional and Institutional Recruitment Committee, and the Public Relations Committee. In 1988, Betsy earned the IACP’s prestigious classification of Certified Culinary Professional. At the 1994 IACP conference in San Francisco, CA, and the 1998 IACP conference in Phoenix, AZ, she presented master’s classes to food professionals on Bread Baking. In 2000 Betsy presented a self-publishing seminar for the annual conference in Minneapolis, MN. She planned and hosted a Regional Meeting in New Hampshire on the Shaker’s and their contributions to the culinary world. In 2002 Betsy was one of three nominees out of 4500 international food professionals to be nominated for the IACP’s Awards of Excellence as the Cooking Teacher of the Year. Her involvement in other areas of the food industry include consultation for Corning Incorporated, the Hay Day Bakery, and The King Arthur Flour Baker’s Catalogue. Betsy was a featured star for both KitchenAid’s Bread Masters of the World (Chicago, IL) and the TOPS Nutrition Fair (Buffalo, NY). She has judged cooking contests for the Valley Daily News (Kent, WA), Duncan Hines and St. Joseph’s Hospital (Tacoma, WA). 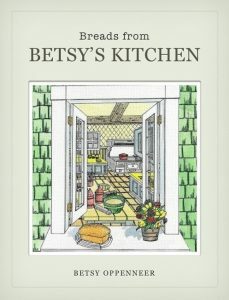 Betsy has also developed recipes for Fleischmann’s Yeast, who she represented during National Family Bread Baking Month (Seattle, WA), and for Publications International, Ltd. with recipes published in three publications. She wrote, designed, and styled a mail order catalog for Bob’s Red Mill in Milwaukie, OR. Her television appearances include regular visits on Sara Moulton’s Cooking Live on TVFN (NY, NY), Cookin’ USA (Nashville, TN), CBS This Morning (NY, NY), KIRO News Channel (Seattle, WA), WEWS Morning Exchange (Cleveland, OH), WAGA Good Day Atlanta (Atlanta, GA), plus numerous appearances on local programs across the country. Betsy is frequently interviewed on radio programs and by newspaper food editors. 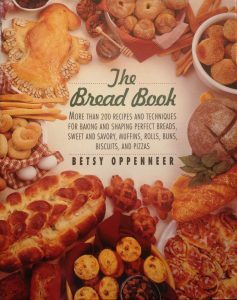 In 1987, Betsy created “The Breadbasket,” a catalogue of high-quality baking supplies and equipment for home bread baker. The King Arthur Flour Company purchased it in 1990 and renamed it “The King Arthur Flour Baker’s Catalogue.” She has also produced two videos, Perfect Bread: Fun with Creative Shapes and Perfect Bread: How to Conquer Bread Baking (nominated for the Publisher’s Marketing Association Benjamin Franklin Award in May, 1992). 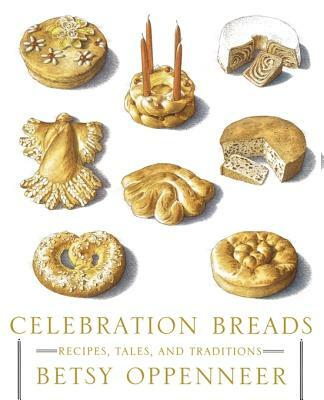 She has written five books: Betsy’s Bread (Breadworks, 1987), The Bread Book (HarperCollins, 1994), Breads from Betsy’s Kitchen (Breadworks, 1998), The Oppenneer Family Cookbook (Breadworks, 1999), and Celebration Breads – Recipes, Tales and Traditions (Simon and Schuster, 2003). Betsy owned and operated Escapades in Roswell, GA, an upscale store featuring catering, specialty foods, freshly baked breads, desserts, and distinctive tabletop items. She was the editor of “From Betsy’s Kitchen,” a food and cookbook review newsletter for over three years. Betsy was invited by the Russian government to go to Russia and work on their bread programs. Read about the trip here.